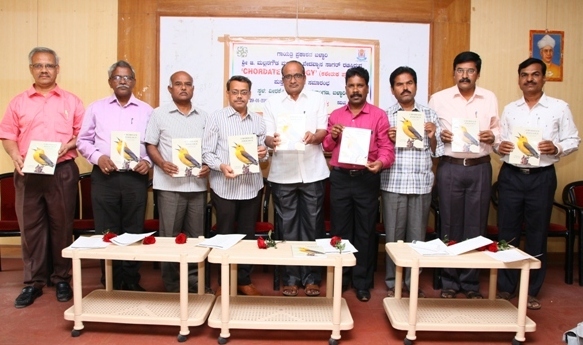 The text book “Chordate Zoology” written by Sri G Mallana Goud and Sri Vedavyasa Sagar, Department of Zoology, Veerashaiva College, Ballari, is released on 29/01/2019. The book is released by Dr.G.Rajashekhar, Principal, Veerashaiva College, Ballari. On this occasion, he expressed dissatisfaction over the decreasing number of book readers and lovers. The students of the present generation have switched over from reading reference books and text books to downloading information from internet. This habit does not help in getting complete information with regard to any concept in the syllabus. One can reach the goal of his study successfully only by reading original works and good quality text books, he said. Sri M Chandrasekhar, Retired Assistant Professor of Zoology spoke about the significance of the book in pursuing study. He said that the authors have made a very systematic attempt in providing information about the characteristics and classification of animals with comparative analysis. He applauded the vast experiences and the writing art of the authors used minutely in presenting each concept in a simple and lucid manner. 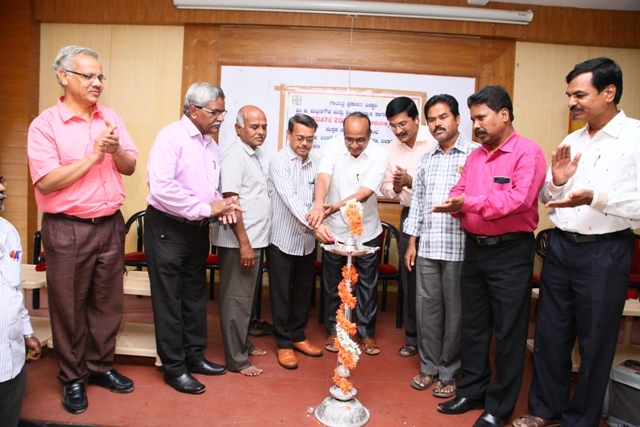 Dr.K.Basappa, the publisher of Gayathri Prakashana, spoke on this occasion. Dr.B.Nagaraja Reddy, Dr.B.R.Manjunath, Dr.B.O.Satyanaraya Reddy and Sri G.Manohara and Authors of the book Sri G.Mallana Goud and Sri Vedavyasa Sagar are present in the programme. Smt.Hema compeered the programme and Smt.Anuradha.K proposed vote of thanks.